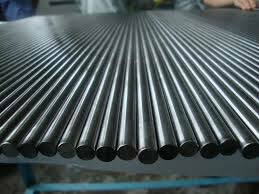 We offer a wide range of Alloy Steel Ground Bars manufactured from all types of EN Series Steel and other Alloy Steel. Alloy Steel Ground Bars are suited for applications which require a close tolerance than bright drawn, turned or peeled bar. Precision grinding of these Alloy Steel Ground Bars offers an accurate tolerance on diameter, roundness, straightness, and a fine surface finish. This fine surface finish of Alloy Steel Ground Bars ensures its suitability for machining which require low vibration .Centreless Alloy Steel Ground Bars are well suited for applications such as drive shafts, pump shafts, rolling bearings, pins, bolts and ball bushings. All Rights Reserved. B.K Engineering Tools Corp.